Original Thread: Begging for an E/N pun: Let's Play 007: Everything or Nothing! Begging for an E/N pun: Let's Play 007: Everything or Nothing!  What's with this game? The year was 2004. Call of Duty had yet to reach critical mass; Epic Games were still picking out the right shades of brown and grey for Gears of War; and James Bond fans were still licking the wounds of Die Another Day from little over a year previous. 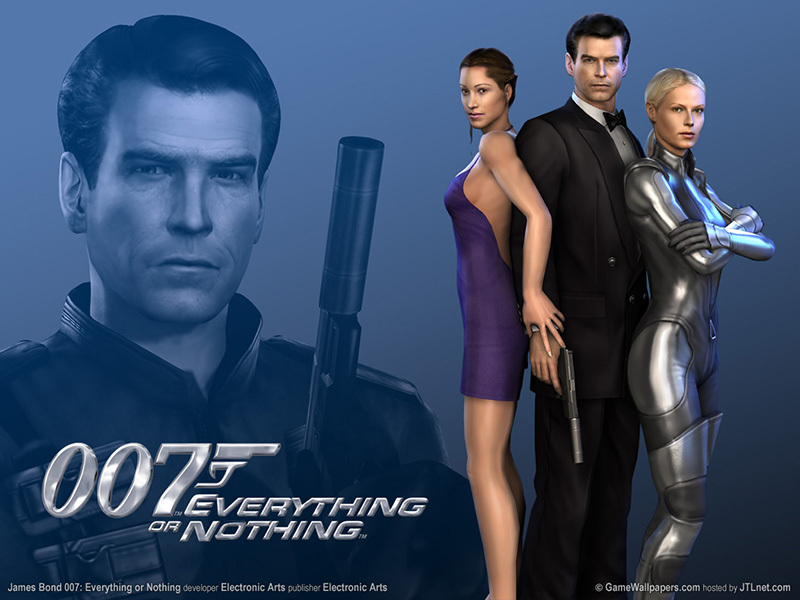 EA, in an odd stroke of genius, decided to forgo the idea of making the next interactive Bond adventure another first-person shooter, instead opting to develop Everything or Nothing as a third-person action game, featuring more varied hand-to-hand combat, driving sequences powered by the Need for Speed engine, various open levels that would reward alternate methods of dispatching (or avoiding) enemies, and cover-based shooting that was ahead of its time. It's the best James Bond game that has been made to date, and as Pierce Brosnan's final performance as James Bond, serves as a much better sendoff than Die Another Day.  What's with this LP? I'll be playing each mission in the game on the standard difficulty, "Agent", with the exception of the first level, which the game automatically sets to the easiest difficulty, "Operative", to make it basically impossible to lose. In each level, I'll endeavour to play relatively stealthily; there's plenty of shooting throughout the course of the game, and I want to show the alternate ways of progressing, should they come up. I'll also aim to earn as many of the "Bond Moments" as I can, however I don't expect to get all of them, as my memory tells me some of them are ridiculously annoying.  What about platinum ranks for the levels? Hah. Good one. Yes, though detailed runs of the levels to get the platinum ranks aren't really part of the focus of this LP. I'll be making those outside of this LP, and there'll be a link to a playlist with those videos in the video list. Keep it in the tags until the LP covers it. Though, if you recall that it's a James Bond story, you'll likely see everything coming anyway. Maybe as bonus videos, if I find the guy I play with. Of course!